The examining division considered the claims not to fulfil the requirements of Article 53(a) EPC in combination with Rule 28(c) EPC - no EP patents shall be granted in respect of invention which at the filing date could exclusively be performed by use (involving the destruction) of human embryos for industrial of commercial purposes, including where the implementation of the invention presupposes such a destructive use to have taken place at some point in time before the filing date, whether or not this is described in the application (G 2/06). In appeal, the applicant tried to overcome the objection by introducing disclaimers in two auxiliary requests, but without success: the "remaining subject-matter" test of G 2/10 was not met, and/or the claims with the disclaimer lacked clarity. "1. A method for obtaining polypeptide-secreting cells, comprising culturing pPS cells in activin A to differentiate the pPS cells to form gut endothelium, and culturing the gut endothelium in a mixture of islet cell differentiation factors comprising one or more of cyclopamine, betacellulin, exendin-4, glucagon-like peptide-1, hepatocyte growth factor, nicotinamide, IGF-1, n-butyrate, retinoic acid (all trans), growth hormone, placental lactogen, VEGF, IGF-II, IBMX, wortmannin, gastrin, cholecystokinin, NGF, EGF, KGF, PDGF, Reg or INGAP, thereby obtaining a cell population in which at least 5% of the cells secrete at least one of the following proteins from an endogenous gene: insulin, glucagon, somatostatin, and pancreatic polypeptide." 3) differentiating the pancreas precursor to a mature islet cell by culturing the pancreas precursor in a medium comprising nicotinamide." wherein "pPS" stands for "primate pluripotent stem". Claims 2-4 and 6-11 were directed to preferred embodiments of claims 1 and 5, respectively. "... wherein said pPS cells are not obtained by means of a process in which human embryos are destroyed." "... wherein the method does not involve use of a human embryo for industrial or commercial purposes." 1. The Main Request is identical to the request on which the examining division decided to refuse the present application. 2. The method of claim 1 for obtaining polypeptide-secreting cells requires the use of a culture of primate pluripotent stem cells (pPS) which, according to the description of the application, includes human embryonic stem (hES) cells (cf. page 6, lines 19 to 20 of the application as filed). In the decision G 2/06 (supra), the Enlarged Board of Appeal considered that "(b)efore human embryonic stem cell cultures can be used they have to be made" and that, if the "only teaching of how to perform the invention to make human embryonic stem cell cultures is the use (involving their destruction) of human embryos, this invention falls under the prohibition of Rule 28(c) EPC" (cf. G 2/06, supra, point 22 of the Reasons). The Enlarged Board of Appeal further decided that the argument of the appellant that, for the assessment of patentability of these inventions, "all the steps preceding an invention for the purposes of Rule 28(c) EPC" should not be taken into account, was not relevant. Thus, the Enlarged Board decided that these steps had to be considered (cf. G 2/06, supra, point 23 of the Reasons). 3. At the relevant date of the patent in suit, the known and practised method for achieving cultures of hES cells, i.e. the starting material of the method of claim 1, included preceding steps that involved the destruction of human embryos. These destructive methods are not excluded from the scope of claim 1. Thus, in accordance with decision G 2/06 (supra), the board decides that the Main Request is not allowable under Article 53(a) EPC and Rule 28(c) EPC. 8. Claims 1 and 5 of Auxiliary Request 1 contain a disclaimer that excludes methods involving the destruction of human embryos, reading: "... wherein said pPS cells are not obtained by means of a process in which human embryos are destroyed" (cf. point IX supra). This disclaimer intends to overcome the objection raised against the Main Request (cf. 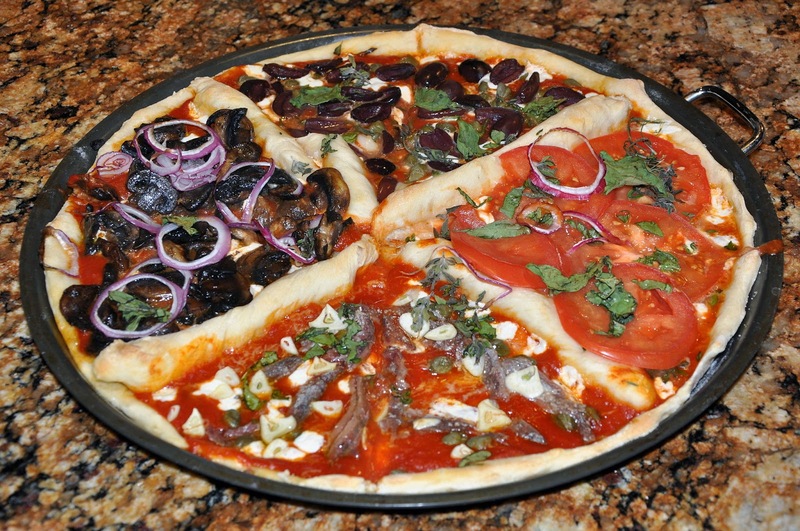 points 2 and 3 supra). 9. The criteria for allowability of disclaimers have been laid down in the decisions of the Enlarged Board of Appeal G 1/03 (supra, see in particular point 2.4.1 of the Reasons) and G 2/10 (supra). According to decision G 2/10 (supra), the subject-matter remaining in the claim after the introduction of the disclaimer must be - explicitly or implicitly - directly and unambiguously disclosed to the skilled person using common general knowledge, in the application as filed (cf. G 2/10, supra, Headnote answer to question 1(a)). In fact, this is "the overriding principle for any amendment to be allowable under Article 123(2) EPC ... that applies equally to the subject-matter of a claim the scope of which is determined by a disclaimer", be it an undisclosed or a disclosed disclaimer (cf. G 2/10, supra, point 4.7 of the Reasons). 10.1 According to the appellant, a single hES cell could be obtained from a human pre-implantation embryo by using methods developed in 2000 for pre-implantation genetic diagnosis (PIGD) of in vitro fertilised (IVF) embryos. Document Verlinsky et al. (2001) has been filed in order to show that a single blastomere cell could be obtained from day 3 cleaving embryos without destroying the embryo. This evidence allegedly supports the availability of hES cells at the priority date of the application by methods that do not involve the destruction of human embryos. 10.2 However, for carrying out the methods of claims 1 and 5, it is not enough to be in possession of single hES cells but it is further necessary to culture these cells in order to obtain an established culture of hES cells or a hES cell line, i.e. in vitro culturing and expansion of hES cells (derivation). It is acknowledged that derivation methods of embryonic stem cells from mice and from some primates were known and available to a skilled person at the priority date of the application, as shown by the bibliographic references in the application as filed cited by the appellant (cf. page 6, third full paragraph and page 8, first and second full paragraphs of the application as filed). However, none of these derivation methods has been successfully used with hES cells. Indeed, document Klimanskaya et al. (2006) states that the derivation of hES cells "currently requires the destruction of ex utero embryos" (cf. page 481, left-hand column, lines 1-2). Only by using a new method disclosed in this document, it was for the first time possible to obtain two hES cell lines (cf. page 481, right-hand column, last paragraph to page 482, left-hand column, first paragraph). In document Chung et al. (2008), this method is referred to as being highly inefficient (cf. page 1, middle column, first paragraph). Incidentally, Chung et al. (2008) also states that "(t)o date, the derivation of all human embryonic stem cell (hSEC) lines has involved destruction of embryos" (cf. page 1, left-hand column, lines 1-3). 10.3 It is worth noting that the derivation method disclosed in document Klimanskaya et al. (2006) is based on a co-culture of hES cells with green fluorescent protein (GFP)-positive hES cells (cf. page 482, left-hand column, first paragraph). The source of these GFP-positive hES is not mentioned in this document but, in view of the comments made in all these post-published documents (cf. point 10.2 supra), these hES cells were also obtained by methods involving the destruction of human embryos. It is thus only the derivation method disclosed by Chung et al. in 2008, seven years after the priority date of the present application (7 December 2001), which for the first time has allowed the provision of hES cultures (cell lines) without destroying a human embryo in any production step. 11. Appellant's further argument based on the public availability of established hES cell lines cannot be followed by the board, since these cell lines were also originally obtained using methods that, at some preceding step, involved the destruction of a human embryo (cf. point 2 supra, last sentence). This has not been contested by the appellant and there is no evidence on file to demonstrate the contrary. In this respect, appellant's attention has also been drawn to decision T 2221/10 (supra) (cf. point V supra). In this decision, this board in a different composition considered methods using commercially or otherwise publicly available hES cell lines, including most of the hES cell lines referred to by the appellant in the present case (inter alia, Thomson et al., 1998). Although methods using these hES cell lines did not require de novo destruction of human embryos, the board concluded that all these hES cell lines were initially derived from a process which had destroyed human embryos. Therefore, the board, following the criteria established in decision G 2/06 (supra), decided that "(i)nventions which make use of publicly available human embryonic stem cell lines which were initially derived by a process resulting in the destruction of the human embryos are excluded from patentability under the provisions of Article 53(a) EPC in combination with Rule 28(c) EPC" (cf. T 2221/10, supra, Headnote and points 10 to 29 of the Reasons). Accordingly, the board dismissed the appeal against the decision of the examining division to refuse European patent application No. 03 751 238.1 claiming the priority dates of 7 October 2002 and 19 February 2003, i.e. almost one year after the priority date of the present application (7 December 2001). 12. Thus, the board does not accept appellant's argument that the application discloses a method for obtaining polypeptide-secreting cells which uses hES cultures or cell lines produced without involving the destruction of a human embryo, in a manner sufficiently clear and complete for it to be carried out - without undue burden or inventive skill - by a person skilled in the art. Rather the methods available to the skilled person at the relevant date all included, at some point in time, the destruction of a human embryo. 13. In view thereof, the board does not consider it necessary to examine whether the disclaimer introduced into claims 1 and 5 of Auxiliary Request 1 fulfils the other criteria established in decision G 1/03 (supra), such as for instance whether the disclaimer is complete, i.e. whether it actually excludes all subject-matter not allowable under Article 53(a) EPC in combination with Rule 28(c) EPC (see in this respect the disclaimer introduced into Auxiliary Request 2, points 15 to 17 infra). 14. In conclusion, the board considers the disclaimer introduced into claims 1 and 5 of Auxiliary Request 1 not to be allowable since the application as filed does not disclose the "remaining subject-matter" of the invention (a method which includes the culture of hES cells derived, only and exclusively, from non-destructive methods). Only with information available seven years after the claimed priority date, a skilled person would have been in a position to put into practice this "remaining subject-matter" (cf. point 9 supra). Auxiliary Request 1 does not meet the requirements of Article 123(2) EPC. 15. Claims 1 and 5 of Auxiliary Request 2 contain a disclaimer reading: "... wherein the method does not involve use of a human embryo for industrial or commercial purposes" (cf. point X supra). 16. Without entering into the question whether this disclaimer overcomes the objection raised against the disclaimer introduced into Auxiliary Request 1 (cf. points 10 and 11 supra), the board considers the disclaimer in Auxiliary Request 2 not to be clear and to be contradictory in itself. The fact that industrial protection is sought for the claimed subject-matter, i.e. 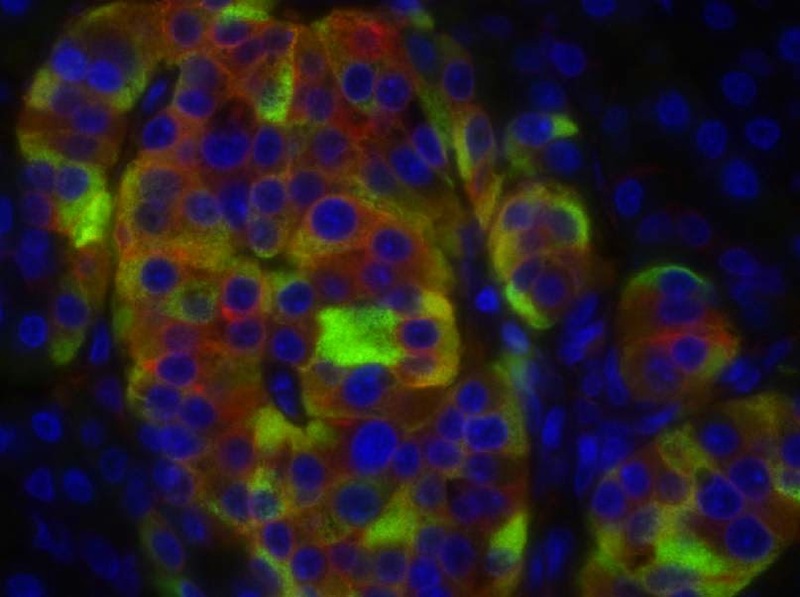 a method comprising culturing pPS cells, already indicates that a human embryo is used for industrial or commercial purposes. Thus, claims 1 and 5 of Auxiliary Request 2 are not clear and contravene the requirements of Article 84 EPC. 17. If it is the aim of the introduced disclaimer to restrict the later use of the differentiated pPS cells produced by the claimed method, namely to be used exclusively for the embryo (or the human being derived therefrom) which was used for obtaining the starting material of the claimed method, then the disclaimer is directed to subject-matter which is not covered by the claim. Such disclaimer does not meet the requirements of Article 123(2) EPC is not allowable (cf. T 1836/10 of 9 April 2013, points 11 and 13 of the Reasons). This decision has European Case Law Identifier: ECLI:EP:BA:2014:T144113.20140909. The whole decision can be found here. The file wrapper can be found here. Photo "Islets of Langerhans by Sarah Richardson" by University of Exeter obtained via Flickr (no changes made, CC-BY-2.0 license). The board is unhappy with this claim and the corresponding description for two reasons. It appears that the gear defined by a spline through these points would not produce a working gear, and that the claim puts an undue burden on the skilled person to select working gears within the band of tolerance. 2.1 The patent concerns gear pumps having a driving and a driven gear wheel, specification paragraph  and . In this context the gear wheels must mesh without encapsulation, that is without trapping fluid in cavities between interlocked teeth, (specification paragraphs  and ). To this end claim 1 as granted proposes a gear wheel having a plurality of teeth with particular tooth profiles falling within a tolerance band about a theoretical tooth profile. The theoretical tooth profile is similar to a profile defined by a natural spline function passing through a plurality of nodal points tabulated for five, six, seven, eight, nine and ten toothed gear wheels respectively. The term "natural spline function" commonly refers to the piece-wise polynomial function resulting from spline interpolation of a set of known data points, where each of intervals defined between successive data points is interpolated by a respective polynomial function that passes through the interval's end points such that it is twice differentiable in those points. For a natural spline function the polynomials are cubic and together form a set of cubic polynomials, one for each interval between nodes where the nodes define their end points, and where adjacent polynomials have the same slope at their common node. 2.2 The gear wheel claimed is also limited by the functional feature that it must be capable of meshing with a corresponding gear wheel. 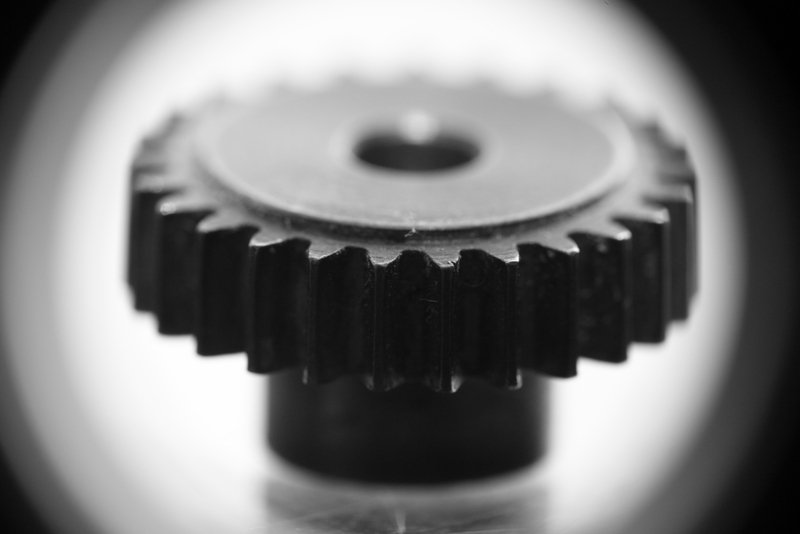 Giving the terms their normal meaning, gears mesh when, viewed in profile, the flank of a driving gear's tooth profile contacts that of the driven gear, at a single point which moves as the two flanks roll over one another until they separate. 4.1 Article 83 EPC requires that the European patent application shall disclose the invention in a manner sufficiently clear and complete for it to be carried out by a person skilled in the art. performed by a person skilled in the art in the whole area claimed, using common general knowledge and taking into account further information given in the description of the patent or patent application, see the Case Law of the Boards of Appeal of the EPO, 7th edition, 2013 (CLBA hereinafter) II.C. introductory portion. Furthermore, the skilled person must be able to perform the invention without undue burden. Where the skilled person can only establish by trial and error whether his choice of numerous parameters will provide a satisfactory result, this amounts to an undue burden, see CLBA II.C.5.6 and 5.7. 4.3 As explained above, a key element of claim 1 is the theoretical tooth profile (one each for 5-10 tooth gears) that is similar to the profile defined by a natural spline function passing through the tabulated data points. The decision under appeal found that the resultant profiles using all data points were so irregular that they would not practically mesh, as required by the claim, nor prevent encapsulation. It further held that if, as argued interpolation was only through selected but not all of the tabulated points, this would put an undue burden on the skilled person. 4.4 Contrary to what was argued before the opposition division (cf. decision, page 7, second paragraph) and until recently in appeal (cf. Meneghello, page 8, 2nd paragraph, last sentence), the appellant in the oral proceedings before the Board argues that the spline function profile does pass through all the points of a given table in the claim, and that the resultant profile will mesh and prevent encapsulation. Insofar as the profile passing through all points is concerned the Board can agree with such a reading of claim 1. This reading corresponds to the skilled person's understanding of "natural spline function" (see above) in relation to "a plurality" of nodal points which contextually can only be the plurality given in the table. This point is thus no longer in dispute between the parties. 4.5 It is also undisputed that, based on the nodal points listed in claim 1, parts of the theoretical profiles claimed undulate, that is when set out in a graph these data points produce a profile that is irregular, i.e. that is not smooth but has considerable local variations. See for example figures 1 to 3 in Meneghello, or the tabulated points in the various figures of D18 Figure 1. 4.6 The only point in dispute is thus whether or not the resultant profile and band of profiles as defined in claim 1 can mesh, as required by the claim, and prevent encapsulation. The respondent has consistently argued that a profile passing through all points does not, and indeed from the appellant proprietor's initial response in opposition and appeal that not all points were meant it can be inferred that he initially agreed. In appeal the appellant now however expressly states that the main profile resulting from interpolation through all points does result in a meshing and non-encapsulating gear. 4.7 Normally, as explained in CLBA II.C.8, and in particular T 63/06, after the grant of the patent a legal presumption exists that the patent meets the requirements of the EPC. In order to establish insufficiency, the burden of proof is upon an opponent to establish on the balance of probabilities that a skilled reader of the patent, using his common general knowledge, would be unable to carry out the invention. However, when the patent does not give any information as to how a feature of the invention can be put into practice, the presumption of sufficiency of disclosure is weak. The opponent can discharge his burden by plausibly arguing that common general knowledge would not enable the skilled person to put this feature into practice. The patent proprietor then has the burden of proof for the contrary assertion that common general knowledge would indeed enable the skilled person to carry out the invention. 4.8 In the present case the patent provides no information, by tests or otherwise, that would support the claimed meshing and non-encapsulating of the resultant gears. The patent, at specification paragraph  mentions experiments that led to the identification of the tooth profiles, but the relevant data has not been included or provided subsequently in opposition or the following appeal. The respondent-opponent on the other hand has presented a plausible, substantiated case why there would not be meshing and non-encapsulating. Given further the varying positions of the proprietor-appellant in this point the Board concludes that there can be only a weak presumption of sufficiency in the present case, and that the onus now rests on the proprietor to prove sufficiency. In weighing the parties' submissions against each other he can therefore no longer enjoy the benefit of the doubt. 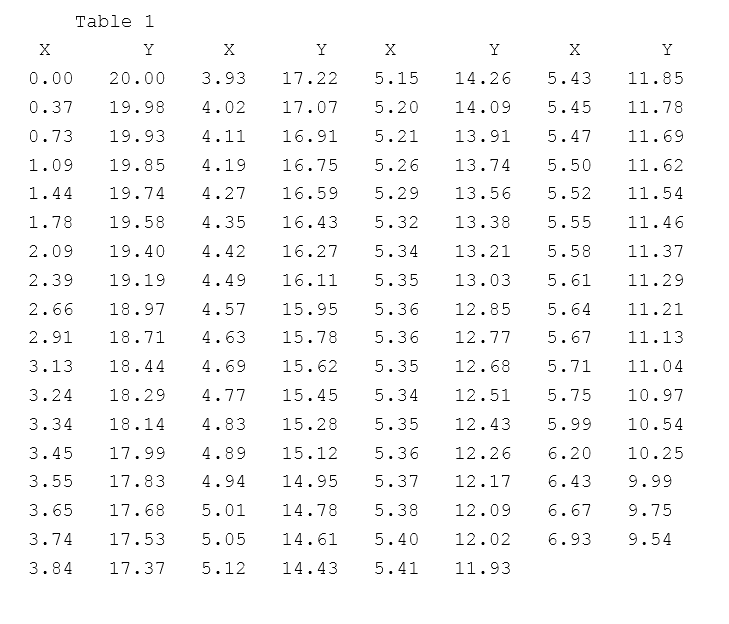 4.8.1 In the respondent's submission of 2 July 2012 in reply to the appeal, see page 5, reference is made to his submission in opposition dated 15 December 2010, in particular figures 1 and 1b which plot the data points of table 3 for a 7 toothed gear wheel (table 3 of the claim) having a pitch circle of approximately 11 mm and an outer diameter of approximately 19mm, that is for a gear wheel of typical dimensions. Further figures 2 to 15 of the same submission show the contact area between an enlarged section of the flank profile of the driving gear with the flank and the corresponding identical driven gear profile at various angles of rotation. It is evident that during rotation the profiles cross and overlap each other due the irregularity of the opposing flanks. He argues that since gear teeth cannot overlap, at worst they would not fit together, at best they would not mesh but touch at more than one point, thereby jamming and encapsulating fluid. This was reiterated in D18, page 18, first paragraph, and further substantiated in D18 by calculating profiles and their so-called conjugates using natural spline functions applied to limited sets of the tabulated data points. A conjugate profile is derived from the main profile under condition of conjugation, that is that the normal to the instantaneous point of contact always intersects to centres of the two gears, D18, page 16, first paragraph. These limited set conjugates already exhibit unphysical anomalies, see D18, figures 5b, 6b, 7b, 8b/c, 9b/c and 10b/c, with interference as above also for these limited set profiles, see D18 figures 10c,d,e and 11c, and page 39, 5th and 6th paragraphs. Thus even for limited set approximations the irregularities and anomalies persist. 4.8.2 The appellant has argued that the irregularities in the profile are not significant enough to prevent meshing or cause encapsulation. The profiles would be based on measurements made on actual meshing and non-encapsulating gear wheels and fluctuations would merely result from measurement error and/or surface roughness. The Board is unconvinced by this argument. Most importantly, it is in direct contradiction with the Meneghello report commissioned by the appellant himself, which at page 8, second paragraph, states that it is "not possible nor permissible to perform an interpolation passing through each of the digitized points [as] this .... does not allow to obtain a profile that meets the functional requirements" (in reference to the geometric-functional characteristics including meshing and conjugation mentioned on page 2). The tests or empirical data, or even the actual gear from which the measurement data is said to derive, and which might have proven his case, are lacking. Without such evidence the arguments that the irregularities would be insignificant and the profiles mesh and not encapsulate are nothing more than unproven assertions that can be of little weight. 4.8.3 Weighing the various submissions against each other - the respondent's substantiated arguments on the one hand, the appellant's varying positions and unsubstantiated assertions on the other - the Board decides that a gear with a profile defined by a natural spline function passing through all of the tabulated data points (or for that matter only through a limited set) will not mesh and will encapsulate, and thus fails to produce the desired, claimed effect of the invention. For this reason already the claimed invention is insufficiently disclosed. 4.9 In addition, the Board notes that the claim 1 does not define a single theoretical tooth profile (for each number of teeth), but also other profiles that lie in a tolerance band of +/-1/20th of tooth depth with respect to each theoretical profile. The band width corresponds to about 10% of tooth height. This figure, much larger than normal machining tolerances, represents a range of profiles as explained elsewhere in the specification and argued by the appellant: experiments on various gears reveal a "range of tooth profiles" (paragraph ); and "...the actual tooth profile falls within a band of tolerance T ...", (paragraph  and figure 1). As submitted by the appellant, the profiles within this band are not different scaled versions of the basic profile defined by the data. The tolerance band is rather meant to encompass an unlimited number of tooth profiles of varying shape, as long as they give gears that mesh. Only profiles that meet this important functional limitation of the claim are to be protected. The appellant acknowledges that there are some within the band that do not meet this requirement and should therefore be excluded from protection. Which profiles do and which do not meet this requirement would then, so the argument goes, need to be determined by trial and error. 4.9.1 The question therefore arises as to whether or not such trial and error does not constitute an undue burden on the skilled person for him or her to successfully carry out the claimed invention, see section 4.2 above. 4.9.2 The patent is silent as to how to distinguish a working profile from one that does not. One way would be to prototype, i.e. manufacture, the corresponding gears and measure meshing and encapsulation. Another alternative suggested by the appellant would be to generate the gears mathematically, or model them, using a variety of analytical techniques known to the skilled person, see e.g. the Meneghello report, page 8, last two paragraphs. 4.9.3 Given the myriad of possible profiles, and the effort involved in prototyping or modelling the corresponding gear, this is a daunting task. In particular, the Board holds that this would far exceed routine experimental work. For each possible profile the skilled person must prototype or model two gear wheels and investigate whether or not they mesh without encapsulation. This process of trial and error in the Board's view represents an undue burden for the skilled person. 4.10 In summary the Board concludes that on the balance of probabilities the main gear tooth profiles defined in claim 1, which are central to the invention, do not result in a working gear wheel. Furthermore, the skilled person would not be able to determine which of the remaining profiles within the tolerance band defined in the claim would result in working gears without undue burden. The invention according to claim 1 of the main request is thus insufficiently disclosed, Article 100(b) EPC with Article 83 EPC. During the oral proceedings before the opposition division the proprietor had most of its case represented by a trainee. This appears to violate the requirements that the board of appeal had set out G 4/95. The opponent now asks a reimbursement of the appeal fee because of a substantial procedural violation. III. The opposition division held that the patent as amended according to the auxiliary request filed during the oral proceedings before the opposition division met the requirements of the EPC. In particular, it found that the subject-matter of claim 1 of the patent as granted was novel over D1 and D2, but lacked an inventive step in view of D2 alone, and that the subject-matter of claim 1 of the auxiliary request involved an inventive step in view of D2 as the closest prior art and D1. At the oral proceedings before the opposition division, appellant 2 was represented by a professional representative, Mr Chivarov, accompanied by Mr Huber, who was said to be a trainee in the law firm of Mr Chivarov. Appellant 2 requested that Mr Huber be allowed to speak "on selected issues during the oral proceedings under his (Mr Chivarov's) supervision and responsibility". Appellant 1 agreed to this with the proviso that Mr Huber would "not make the complete case". The opposition division allowed Mr Huber to speak "on selected issues under Mr Chivarov's responsibility". After the impugned decision was pronounced, appellant 1 submitted that, according to its observations, Mr Huber had spoken "for more than 50% of the time" and that this was not what had been agreed at the beginning of the oral proceedings. Mr Huber, the accompanying person of the representative of the proprietor (now appellant 2) within the meaning of G4/95 at the oral proceedings before the opposition division, had not been previously announced. The opposition division agreed that Mr Huber could talk upon specific points under the responsibility of the professional representative Mr Chivarov. Under these circumstances, appellant 1 had no other option than to continue to attend the oral proceedings or to withdraw therefrom. Appellant 1 could not have foreseen whether Mr Huber would indeed only talk about specific points in order to support the otherwise exhaustive submissions by the professional representative or whether he would take the floor for a longer time. However, during the oral proceedings the professional representative, Mr Chivarov, did not speak more than two sentences in the period up until the lunch break. After the break, the professional representative intervened a few times but did not present the entire case. This was in fact done by Mr Huber. As a result, Mr Huber took the floor for presenting the vast majority of the submissions by appellant 2. Since in the morning of the day of the oral proceedings, Mr Chivarov did not speak for more than two minutes in total, Mr Huber did not make submissions relating only to specific points as agreed at the beginning of the oral proceedings. The criteria developed by the Enlarged Board of Appeal concerning the authorisation of an accompanying person had been violated. This amounted to a substantial procedural violation. 8.1 According to Rule 103(1)(a) EPC, "the appeal fee shall be reimbursed... where the Board of Appeal deems an appeal to be allowable, if such reimbursement is equitable by reason of a substantial procedural violation...". 8.2 The board is of the opinion that no substantial procedural violation occurred in the proceedings leading to the impugned decision. The reasons therefor are as follows. 8.2.1 In G4/95 the Enlarged Board of Appeal held that "an accompanying person is not excluded from making oral submissions in relation to either legal or technical issues on behalf of a party to the proceedings, under the control of the professional representative, and in addition to the complete presentation of the party's case by the professional representative" (reasons 8(a), last paragraph). If "a request for an accompanying person to present oral submissions is made either shortly before the date appointed for oral proceedings, or at the oral proceedings, such a request should in the absence of exceptional circumstances be refused by the EPO unless each opposing party agrees to the making of the oral submissions requested" (reasons 10, last paragraph). 8.2.2 In the case at hand, it is undisputed that the person (Mr Huber) accompanying the professional representative (Mr Chivarov) had not been announced prior to the oral proceedings before the opposition division. According to the minutes of the oral proceedings before the opposition division, at the beginning of the oral proceedings, Mr Chivarov requested that Mr Huber be allowed to speak "on selected issues during the oral proceedings under his (Mr Chivarov's) supervision and responsibility". This request, therefore, amounted to a request for oral submissions by the accompanying person in addition to the complete presentation of appellant 2's case by the professional representative. 8.2.3 Further according to the minutes, appellant 1 "objected against Mr Huber being the only speaker but agreed on Mr Huber contributing submissions under Mr Chivarov's responsibility and with the provisio (sic) that he would not make the complete case". Appellant 1 thus agreed to the accompanying person making oral submissions under the control of the professional representative, and in addition to the complete presentation of appellant 1's case by the professional representative as foreseen in G4/95. Whether appellant 1 had the subjective impression that it had no choice but to agree is in this context of no relevance. In fact, appellant 1 could have refused its agreement and, if the opposition division had decided to allow the accompanying person to make oral submissions despite the missing consent of appellant 1, could still have challenged this decision during the appeal proceedings. Therefore, the opposition division's decision that "Mr Huber was allowed to speak on selected issues under Mr Chivarov's responsibility" was in line with G4/95 and, therefore, cannot be said to amount to a procedural violation. 8.2.4 According to G4/95 (reasons 11), "the EPO should always be satisfied that oral submissions by an accompanying person are made under the continuing responsibility and control of the professional representative". Thus, when conducting oral proceedings, the opposition division has the duty to ensure that the oral submissions made by an accompanying person satisfy the above conditions, i.e. that they are made in addition to the complete presentation of the party's case by its professional representative and under the continuing responsibility and control of the professional representative. 8.2.5 In the case at hand, the minutes of the oral proceedings, up to the pronouncement of the decision, do not state who made the submissions on behalf of appellant 2. It is only after the pronouncement of the decision that the minutes state that "the opponent mentioned that according to his observation, Mr Huber had spoken for more than 50% of the time and that this was not what was agreed on at the beginning of the proceedings". Also, appellant 1 submitted in its statement of grounds of appeal that the professional representative, Mr Chivarov, did not speak more than two sentences during the oral proceedings in the period up until the lunch break. After the break, the professional representative intervened a few times but did not present the entire case. This was in fact done by Mr Huber, his assistant. As a result, Mr Huber spoke in the vast majority of the submissions by appellant 2. Hence, according to appellant 1, the submissions made by Mr Huber did not comply with the conditions set forth in G4/95, i.e. were not in addition to the complete presentation of appellant 2's case by the professional representative, Mr Chivarov. 8.2.6 Conversely, appellant 2 in its statement of grounds of appeal contested the submissions by appellant 1. It was apparent from the minutes of the oral proceedings that the opposition division had been satisfied that the submissions by the accompanying person were made under the continuing responsibility of appellant 2's professional representative. 8.2.7 The board considered the submissions of the parties and the content of the minutes of the oral proceedings before the opposition division. It is not possible to establish, on an objective basis, whether the submissions made by the accompanying person were in addition to the complete presentation of the professional representative or whether they went beyond that or even amounted to a presentation of substantially the complete case of the party. 8.2.8 The board is, however, of the opinion that it was incumbent on appellant 1 to inform the opposition division of any alleged negligence of the opposition division's duty to ensure that the oral submissions by Mr Huber be made under the aforementioned conditions as soon as it became aware of it. This immediate reaction is required since a party to the proceedings must take an active part and must on its own initiative submit in due time whatever will support its position (cf. R 2/08, reasons 8.5). In the case at hand, appellant 1 should and could have informed the opposition division accordingly at the latest before the lunch break since, according to its submissions, at that point in time the professional representative had only made a few submissions, i.e. the accompanying person's oral submissions were apparently not only in addition to the complete presentation of appellant 2's case by the professional representative. Appellant 1 failed to inform the opposition division accordingly. 8.2.9 Furthermore, the conditions elaborated in G 4/95 are intended to ensure that during oral proceedings, one party does not present oral submissions which take an opposing party by surprise and for which such opposing party is not prepared (G 4/95, reasons 10, second paragraph). In the case at hand, there is nothing that would indicate that appellant 1 was taken by surprise or that it was not prepared, or at least could not have been prepared, for the oral submissions made by the accompanying person. The board notes that the accompanying person had been presented as a trainee (see item 1, first paragraph of the minutes) and that appellant 1 did not argue that it had been taken by surprise by the presentation of the accompanying person. 8.3 In summary, the board fails to see that a procedural violation, let alone a substantial one, occurred during the proceedings before the opposition division. 8.4 The request to reimburse the appeal fee and to remit the case to the opposition division is therefore not allowed. This decision has European Case Law Identifier: ECLI:EP:BA:2014:T145811.20141023. The whole decision can be found here. The file wrapper can be found here. 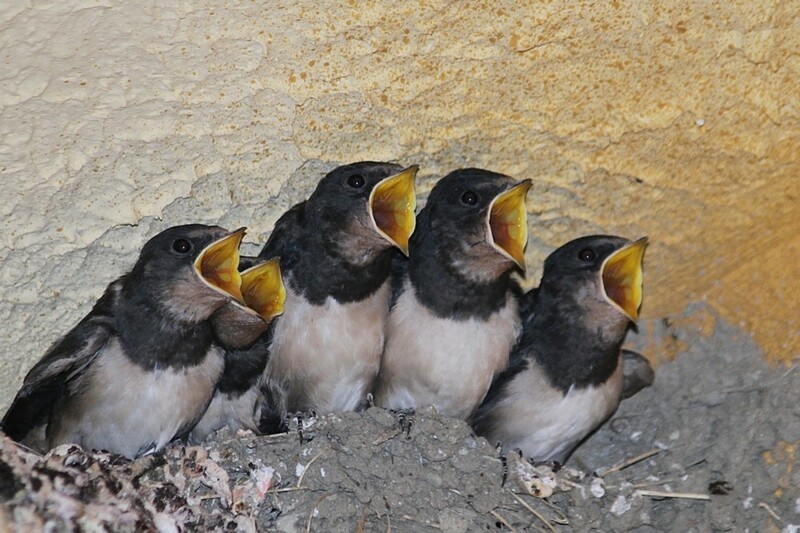 Photo "SING" by Angela Meißner obtained via 500px, under the CC-By 3.0 license. This interesting decision deals with the question of partial priorities. In fact, the question was whether the subject-matter of a claim in a divisional application that had the same priority date as the alleged prior art document D9, while also claiming the same priority from the same priority application, was novel over the content of D9 under Art 54(3) EPC. The claim contained a generalized term, parts of which were present in the priority application, and parts of which that were not. The board concluded that there were two clearly defined alternative subject-matters, one (a) that was disclosed in the priority document, and the second (b) that was not directly and unambiguously derivable from the priority document and that therefore did not enjoy priority. Since (a) enjoyed priority, D9 did not belong to the state of the art under Art 54(3) EPC and for this subject-matter, D9 was not relevant at all in the analysis of novelty. Alternative (b) did not enjoy priority, hence D9 was considered state of the art under Art 54(3) EPC; however, only for the subject-matter for which the priority of D9 was valid, which was alternative (a). Since (a) and (b) did not overlap, D9 was not considered novelty-destroying for alternative (b) either. The board followed the earlier decision T1222/11 and departed from other board of appeal decisions that followed the strict and literal interpretation of the condition "provided that it gives rise to the claiming of a limited number of clearly defined alternative subject-matters" mentioned in G 2/98. In a case in which a single priority is claimed for a given application and a number of features of a claim of said application are generalisations of specific features disclosed in the priority document, a partial priority is to be acknowledged, as long as it is possible to conceptually identify, by a comparison of the claimed subject-matter with the disclosure of the priority document, a limited number of clearly defined alternative subject-matters, including among the alternatives the specific embodiments which are directly and unambiguously derivable from the priority document. In order for this condition to be met, it is not necessary that the clearly defined alternative subject-matters are spelt out as such in the application, nor that the word "or" actually occurs (see point 4.5.12). This condition extends to the case of multiple priorities. In that case, a comparison with the disclosure of each of the priority documents is necessary and for each of the clearly defined alternative subject-matters the earliest priority from which the alternative subject-matter is directly and unambiguously derivable is acknowledged (see point 4.5.13). I. The appeal lies from the decision of the examining division announced at oral proceedings on 25 September 2009 to refuse European patent application n° 08 165 575.5. The application was filed as a divisional application of European patent application n° 00 951 701.2, which was filed on 4 August 2000, claiming priority from GB 0001621.1 filed on 26 January 2000. II. The decision was based on claims 1 to 15 of the main request and claims 1 to 14 of the first auxiliary request, both filed during oral proceedings held on 25 September 2009. "A pharmaceutical composition comprising (E)-7-[4-(4-fluorophenyl)-6-isopropyl-2-[methyl(methylsulfonyl)amino]pyrimidin-5-yl]-(3R, 5S)-3,5-dihydroxyhept-6-enoic acid or a pharmaceutically acceptable salt thereof as the active ingredient, the composition having a ferric oxide light protective coating; provided that the composition does not comprise the calcium salt of the active ingredient and a tribasic phosphate salt in which the cation is multivalent." a) Claim 1 of the main request did not meet the requirements of Articles 76(1) EPC, since in the earlier application as filed the provision of a composition having a ferric oxide light protective coating could not be read in isolation from the feature defining the presence of an inorganic salt in which the cation is multivalent, which feature was absent from claim 1 of the main request. The latter feature being essential to the definition of the invention, the requirements of Article 84 EPC in combination with Rule 43(1) EPC were also not met. b) Claim 1 of the first auxiliary request lacked inventive step in view of D1 or D2 as closest prior art, in combination with D3. D1 and D2 disclosed the active ingredient, rosuvastatin, and differed from claim 1 in that they did not disclose the combination of the active ingredient with an inorganic salt in which the cation is multivalent, nor a light protective coating comprising ferric oxide. The problem was identified as the provision of a composition wherein degradation of the active agent under storage conditions was minimised or avoided. The solution was obvious in view of D3 which taught the use of a pharmaceutical composition comprising the active agent in admixture with a water-soluble alkaline substance such as calcium carbonate and further comprising a film coating of "Opadry Yellow" which was a light protective coating comprising ferric oxide. In addition, the minutes of the oral proceedings at which the decision was taken indicated that it was announced by the chairperson that the disclaimer in claim 1 according to the first auxiliary request was "allowable and established novelty over D9 (Article 54(3) EPC)" (see paragraph bridging pages 1 and 2 in the minutes). V. The appellant (applicant) filed an appeal against that decision. With the statement setting out the grounds of appeal, the appellant filed four sets of claims as main request and first to third auxiliary requests. A disclaimer was present in claim 1 of all requests. D13: Extract form a report labelled "Appendix A"
VII. In a communication sent in preparation for oral proceedings the Board reviewed the submissions of the appellant. In particular, with regard to the disclaimers included in all requests on file, it expressed the preliminary opinion that said disclaimers appeared unnecessary to establish novelty over document D9. With respect to inventive step, the Board pointed out that the available tests did not convincingly demonstrate an effect across the entire scope of the claim. VIII. In reaction to that communication the appellant filed with letter of 13 May 2014 eight further sets of claims to replace those on file, in which the disclaimer had been deleted and further amendments had been introduced. IX. Oral proceedings were held on 3 June 2014, during which a set of claims 1 to 12 was submitted as the main request and all previous requests were withdrawn. "1. The use of a light protective coating containing lactose, hydroxypropyl methyl cellulose, triacetin, titanium dioxide and ferric oxide to reduce the rate of formation of photodegradation products of (E)-7-[4-(4-fluorophenyl)-6-isopropyl-2-[methyl(methylsulfonyl)amino]pyrimidin-5-yl]-(3R, 5S)-3,5-dihydroxyhept-6-enoic acid or a pharmaceutically acceptable salt thereof in a pharmaceutical composition comprising the said compound or salt as the active ingredient, wherein the pharmaceutical composition further comprises an inorganic salt in which the cation is multivalent, and wherein the coating comprises 1 to 3% by weight of the composition." Claim 1 involved an inventive step, since the skilled person starting from D2, which was the closest prior art, and wishing to provide stable pharmaceutical compositions, would look to the disclosure of D4 in which the issue of photodegradation was addressed. Nothing in D4 pointed to a coating as a method of reducing photodegradation. Rather, D4 taught that the problem of photodegradation could be solved by using calcium carbonate. On that basis the presence of an inventive step was to be acknowledged. XI. The appellant requested that the decision under appeal be set aside and that a patent be granted on the basis of the main request filed at oral proceedings before the Board on 3 June 2014. 2. According to the appealed decision, claim 1 of the main request before the examining division did not meet the requirements of Articles 76(1) EPC, since the feature defining the presence of an inorganic salt in which the cation is multivalent was absent in the claim. Since said feature was seen as an essential feature, the requirements of Article 84 EPC in combination with Rule 43(1) EPC were equally not met. 2.1 Since the disputed feature has been included in claim 1 of the new main request, the corresponding objections have been overcome. 2.2 The Board has no other concern with regard to the requirements of Article 76(1) EPC, Article 84 EPC and Rule 43(1) EPC. 3. Claim 1 results from a combination of independent claim 2 of the application as filed with dependent claims 13 and 14, which refer to the weight percentage of the coating, and dependent claim 15, which specifies the composition of the coating, together with a change of category from a product claim (a pharmaceutical composition) to a use claim (the use of a light protective coating to reduce the rate of formation of photodegradation products). The specific purpose indicated in the use claim is disclosed in the original description for coatings containing ferric oxides in close association with the coating composition specified in the claim and the weight percentage range thereof (page 6, lines 5 to 12, see in particular the last sentence). 3.1 On that basis, claim 1 of the main request fulfills the requirements of Article 123(2) EPC. The Board has no concerns regarding Article 123(2) EPC for the dependent claims. 4. Claim 1 according to both requests on which the decision was based contained the disclaimer: "provided that the composition does not comprise the calcium salt of the active ingredient and a tribasic phosphate salt in which the cation is multivalent". While no analysis related to the presence of the disclaimer and compliance with the requirements of Article 123(2) EPC was made in the decision under appeal, the minutes of the oral proceedings at which the decision was taken indicated that the disclaimer was allowable and established novelty over D9 (see point IV, above). As no disclaimer is present in claim 1 of the main request, the issue of novelty over document D9 needs to be analysed. 4.1 Since the requirements of Article 76(1) EPC, second sentence, have been found to be complied with, the present divisional application shall be deemed to have been filed on the date of filing of the earlier application and shall enjoy any right of priority of the earlier application. 4.2 By virtue of this, document D9, which was published well after the filing date of the present application, does not belong to the state of the art according to Article 54(2) EPC. 4.3 As to Article 54(3) EPC, the present application and document D9 share not only the same filing date, but also the same priority claim, since they claim priority from the same document (see points I and III, above). On that basis, document D9 could belong to the state of the art under Article 54(3) EPC, only insofar as the priority of the present application is not validly claimed, while the priority of D9 is effective. 4.4 The crucial point in order to analyse novelty over D9 resides therefore in the validity of the priority for the present application and for document D9. 4.5.1 The priority document discloses in a paragraph exactly corresponding to a paragraph of the present application (cf. page 4, lines 6 to 13 of the priority document and page 6, lines 5 to 12 of the present application) the use of coatings containing ferric oxides to reduce the rate of formation of photodegradation products of the active agent of a coated pharmaceutical composition in close association with the coating composition specified in claim 1 of the main request and the weight percentage range thereof. 4.5.2 As to the active agent and the salt included in the coated pharmaceutical composition, the priority document discloses a pharmaceutical composition comprising (E)-7-[4-(4-fluorophenyl)-6-isopropyl-2-[methyl(methylsulfonyl)amino]pyrimidin-5-yl]-(3R, 5S)-3,5-dihydroxyhept-6-enoic calcium salt as the active agent and a tribasic phosphate salt in which the cation is multivalent (page 1, lines 3 to 6 and 24 to 25). 4.5.3 Both the active agent and the accompanying salt disclosed in the priority document are specific embodiments with respect to the generic disclosures in claim 1 of the main request, in which the active agent is the substituted dihydroxyhept-6-enoic acid or a pharmaceutically acceptable salt thereof (a generic class including the calcium salt) and the accompanying salt is an inorganic salt in which the cation is multivalent (a generic class including a tribasic phosphate salt in which the cation is multivalent). 4.5.4 While it is clear that priority cannot be acknowledged for the whole scope of the claim in view of the generalisations, the question to be answered is whether and to what extent a partial priority can be acknowledged with respect to the subject-matter disclosed in the priority document. This is to be decided on the basis of the articles of the EPC relevant for priority (Articles 87 to 89, in particular Article 88(2) and (3) EPC, as far as multiple priorities and partial priority are concerned) and of the case law relating to those articles. 4.5.6 A detailed analysis of G 2/98, of the memorandum and of previous case law was accomplished in T 1222/11 of 4 December 2012 in order to fully understand the conditions for acknowledging the validity of priority when the "OR"-claim is drafted using a generic term or formula (see points 11.1 to 11.8 of the reasons for the decision). 4.5.7 In T 1222/11 it was found that the assessment as to which elements of the "OR"-claim are covered by any of the multiple priority documents can be achieved only by a comparison of the claimed subject-matter of the "OR"-claim with the multiple priority documents, so that the words "gives rise to the claiming of a limited number of clearly defined alternative subject-matters" used in the cited passage of G 2/98 refer to the ability to conceptually identify by said comparison a limited number of clearly defined alternative subject-matters to which the multiple rights of priority claimed can be attributed or not (point 11.5.2 of the decision). That this comparison should give rise to a limited number of clearly defined alternative subject-matters is obviously necessary in order to identify which parts of the claims benefit from the effect of the priority right defined in Article 89 EPC (point 11.5.3 of the decision). 4.5.8 This approach was found to be supported by the memorandum, which according to G 2/98 proved the intent of the legislator concerning the question of multiple priorities. In particular reference was made in T 1222/11 to a statement on page 2 of the memorandum, which reads "It is of course immaterial whether the word "or" actually occurs in the claim, or is implied through the use of a generic term, or otherwise" (point 11.5.4 of the decision) and to three examples provided in the memorandum and referring to the "Broadening of a chemical formula", the "Broadening of range (temperature, pressure, concentration, etc.)" and a method of coating the inner wall of a pipe vs a method of coating the inner wall of bottles or any other hollow bodies (points 11.5.5 to 11.5.7 of the decision). 4.5.9 In particular with reference to the first example in the memorandum, which is the one which comes closer to the present situation, a passage of the memorandum was cited in T 1222/11, which reads: "A first priority document discloses a relatively narrow chemical formula supported by representative examples. A second priority document discloses a broader chemical formula which within its scope includes the narrower chemical formula, and which is supported by additional examples justifying the broader formula. If multiple priorities for one and the same claim are allowed [as it is indeed the case according to Article 88(2) EPC, second sentence], it will suffice to draw up a single claim directed to the broad formula. This claim will then enjoy priority from the first priority date to the extent that the compound in question comes within the scope of the narrow formula, and the second priority for the rest of its scope." This example was found to confirm that the attribution of the partial priorities to the different parts of the claim has to be made by a comparison of the subject-matter of the claim with the disclosure of the priority documents, the clearly defined alternative subject-matters being in this example the narrow formula and the rest of the scope of the claim (point 11.5.5 of the decision). 4.5.10 Moreover, while said analysis referred to the case of multiple priorities, in T 1222/11 it was concluded that there is no reason why the assessment of partial priority for an "OR"-claim should be different depending on whether a single priority or multiple priorities are claimed, nor is there any provision in the EPC which would support a different view (point 11.6 of the decision). 4.5.11 In addition, while the Board in T 1222/11 was well aware of a number of previous decisions of other Boards (T 1877/08 of 23 February 2010, T 476/09 of 21 September 2012, T 1443/05 of 4 July 2008 and T1127/00 of 16 December 2003) which followed a strict and literal interpretation of the condition "provided that it gives rise to the claiming of a limited number of clearly defined alternative subject-matters" mentioned in G 2/98, which was seen as characterising the manner in which the subject-matter of the "OR"-claim must be defined, it found that said condition, when read in its proper context, should be given a different meaning than that attributed to it in those decisions (points 11.4 and 11.5 of the decision of T1222/11). 4.5.12 The present Board fully shares the analysis and the approach of T 1222/11 and, on that basis, comes to the conclusion that in a case such as the present one, in which a single priority is claimed for a given application and a number of features of a claim of said application are generalisations of specific features disclosed in the priority document, a partial priority is to be acknowledged, as long as it is possible to conceptually identify, by a comparison of the claimed subject-matter with the disclosure of the priority document, a limited number of clearly defined alternative subject-matters, including among the alternatives the specific embodiments which are directly and unambiguously derivable from the priority document. In order for this condition to be met, it is not necessary that the clearly defined alternative subject-matters are spelt out as such in the application, nor that the word "or" actually occurs. 4.5.13 This condition clearly extends to the case of multiple priorities. In that case, a comparison with the disclosure of each of the priority documents is necessary and for each of the clearly defined alternative subject-matters the earliest priority from which the alternative subject-matter is directly and unambiguously derivable is acknowledged. (b) the use of claim 1 of the main request in a pharmaceutical composition comprising the substituted dihydroxyhept-6-enoic acid or a pharmaceutically acceptable salt thereof as the active ingredient and an inorganic salt in which the cation is multivalent, wherein the active ingredient and the inorganic salt are other than the calcium salt of the acid and a tribasic phosphate salt in combination. 4.5.15 The subject-matter of alternative (a) is fully disclosed in the priority document (see points 4.5.1 and 4.5.2, above) and enjoys the claimed priority, while the subject-matter of alternative (b) is not directly and unambiguously derivable from the priority document and does not enjoy a priority right. 4.6.1 Document D9 discloses, in a paragraph exactly corresponding to a paragraph of the priority document (cf. page 4, line 20 - page 5, line 5 of D9 and page 4, lines 6 to 13 of the priority document), the use of coatings containing ferric oxides to reduce the rate of formation of photodegradation products of the active agent of a coated pharmaceutical composition in close association with the coating composition specified in claim 1 of the main request and the weight percentage range thereof. 4.6.2 As to the active agent and the salt included in the coated pharmaceutical composition, D9 discloses a pharmaceutical composition comprising the substituted dihydroxyhept-6-enoic acid or a pharmaceutically acceptable salt thereof as the active agent and a tribasic phosphate salt in which the cation is multivalent (claim 1). (b) the use of claim 1 of the main request in a pharmaceutical composition comprising the substituted dihydroxyhept-6-enoic acid or a pharmaceutically acceptable salt thereof other than a calcium salt as the active ingredient and a tribasic phosphate salt in which the cation is multivalent. 4.6.4 Also in this case the subject-matter of alternative (a) is disclosed in the priority document and enjoys the claimed priority, while the subject-matter of alternative (b) is not directly and unambiguously derivable from the priority document and does not enjoy a priority right. 4.7.1 Once the validity of the priority has been determined both for the application under analysis and for document D9, the relevance of D9 under Article 54(3) EPC can be determined. 4.7.2 For the subject-matter of claim 1 of the main request for which the priority is valid (alternative (a) in paragraph 4.5.14, above), D9 does not belong to the state of the art under Article 54(3) EPC, as it has no valid date prior to the priority date of the application under analysis. For this subject-matter therefore D9 is of no relevance at all in the analysis of novelty. 4.7.3 For the subject-matter of claim 1 of the main request for which the priority is not valid (alternative (b) in paragraph 4.5.14, above), D9 is state of the art under Article 54(3) EPC, however only for the subject-matter for which the priority of D9 is valid (alternative (a) in paragraph 4.6.3, above). However, the subject-matter of alternative (a) of D9 is not novelty destroying for the subject-matter of alternative (b) of claim 1 of the main request, as the former subject-matter has no overlap with the latter. 4.7.4 As no lack of novelty arises, there is no need for a disclaimer with respect to document D9. Consequently, D4 is identified as the closest prior art for the subject-matter of claim 1.
a) the latter does not disclose the active ingredient of claim 1 but rather compounds which differ in that they comprise a pyran ring. b) the latter does not disclose the use of a light protective coating, let alone a coating containing lactose, hydroxypropyl methyl cellulose, triacetin, titanium dioxide and ferric oxide, to reduce the rate of formation of photodegradation products of the active agents. 5.6.1 Although in D4 the preparation of tablets which are film coated to about a 3% weight increase is mentioned (examples 3 on page 21 and example 8 on page 23), the composition of the coating is not disclosed and there is no indication in D4 that the coating may play a role in the prevention of photodegradation of the active ingredients, which according to D4 is provided by the stabilizing effect of the pharmaceutically acceptable alkaline earth metal salt (such as calcium carbonate) comprised within the compositions (page 5, lines 8 - 29). 6.1 Since a comparison of the method for reducing photodegradation according to D4 with that of the present application is not available to the Board, no particular advantage or improvement can be attributed to the differences identified. In view of this, the problem solved is the provision of a further method for reducing the rate of formation of photodegradation products of an inhibitor of HMG-CoA possessing a hydroxy acid side chain attached to a nitrogen heterocycle. 6.2 That the problem has been solved is demonstrated by documents D13, D15, D15a and D17, filed by the appellant as evidence of the effect on photodegradation of a tablet coating comprising ferric oxide and titanium dioxide. D13 identifies the major photodegradation products of the active ingredient of claim 1 as the epimeric PDP1 and PDP2 (paragraphs 1.6.3.1 and 1.6.4.2). According to test report D15 and the supplementary experimental detail provided as D17, a coating comprising titanium dioxide was compared with a coating comprising ferric oxide and titanium dioxide. The results, displayed in D15a, demonstrate that coatings comprising titanium dioxide and ferric oxide are effective in protecting the active ingredient against photodegradation: at the same percentage of coating weight gain, coatings comprising titanium dioxide and ferric oxide led to less photodegradation products than coatings comprising only titanium dioxide. Although a comparison was not drawn with a composition of the active ingredient in the absence of a coating, it is reasonable to assume that such a composition would not demonstrate a lower rate of formation of photodegradation products than if it were surrounded by a coating comprising only titanium dioxide, thereby allowing the indirect comparison of the rate of formation of photodegradation products of the active ingredient according to claim 1 to the rate which would be observed in the absence of a coating. 7.1 None of the prior art documents on file teaches that a reduction of the rate of photodegradation in compounds similar to the active ingredient of claim 1 may be achieved by using a light protective coating containing the ingredients listed. D3, the only document apart from D4 which mentions the light sensitivity of the subject compounds, refers to the possibility of employing coatings which may comprise as ingredients inter alia titanium dioxide and iron oxide (D3, page 9, paragraph 2). However, there is no indication in D3 that using said coating, or a coating of any kind will reduce the rate of formation of photodegradation products in the active ingredients. The skilled person faced with the posed problem, would have therefore no motivation to use a coating as the one indicated in the claim. 7.2 It follows that the subject-matter of claim 1 involves an inventive step. 2. The case is remitted to the department of first instance with the order to grant a patent on the basis of claims 1 to 12 filed during the oral proceedings before the Board and a description yet to be adapted thereto. This decision has European Case Law Identifier: ECLI:EP:BA:2014:T057110.20140603. The whole decision can be found here. The file wrapper can be found here. Photo by Rkolarsky, obtained via Wikimedia Commons, the free media repository.